America would save trillions in health care expenses, if this knowledge were widely known and desseminated. Click on a reason for more detailed information. 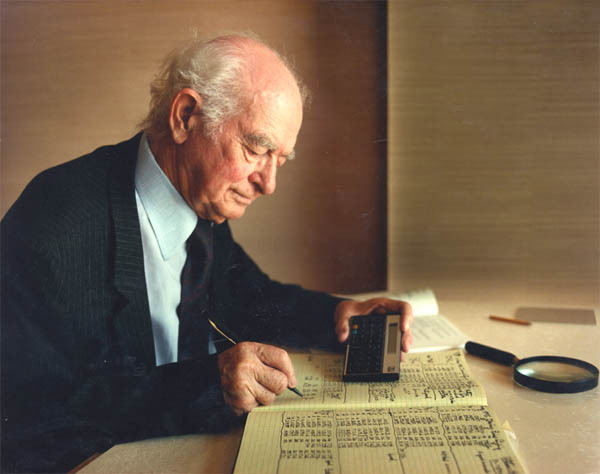 Linus Pauling's last great contribution to human health is the widely ignored discovery that the number one cause of death in America is a chronic vitamin C deficiency. The Pauling/Rath unified theory and the Pauling invention of a protocol to treat the heart disease, ranks among the greatest scientific achievements of all time. Read more at our Vitamin C and Heart Disease page. RESULTS: Strong inverse relationship for blood ascorbate (vitamin C) concentrations with all-cause and cardiovascular disease mortality, Those in the lowest fifth (< 17 micromol/L) had the highest mortality, whereas those in the highest fifth (> 66 micromol/L) had a mortality risk nearly half that (hazard ratio = 0.54; 95% CI: 0.34, 0.84). In fully adjusted models, there was no evidence for an influence of alpha-tocopherol (vitamin-E), beta-carotene, or retinol (vitamin-A) on total mortality. #3: Vitamin C versus Cancer: Non-toxic "Chemo"? Non-toxic "chemo" is the miraculous promise of "vitamin C" in the fight against cancer. Read more at our Vitamin C and Cancer page. What researchers found was that those who consumed the most selenium roughly halved their risk of developing pancreatic cancer compared to participants with the lowest intake. Even more remarkable, participants in the top 25 percent of consumption of vitamins C, E and selenium reduced their risk by 67 percent. The authors concluded that this amount of reduced risk could possibly prevent 8 percent of pancreatic cancers. Study: Vitamin C, E and Selenium Drastically Reduce Risk of Death from Gastric Cancer (Stomach Cancer) and Esophageal Cancer in Half. "Gastric cancer or esophageal cancer patients who took vitamin C, E and antioxidative selenium supplements during a 15-year study were 50 percent less likely to die from the cancers." Although all treatments (AA (vitamin C), GSH, and AA (vitamin C) + GSH) improved survival rate, AA + GSH inhibited the cytotoxic effect of AA alone and failed to provide further survival benefit. There is an antagonism between ascorbate (vitamin C) and glutathione (GSH) in treating cancer, and therefore iv AA and iv GSH should not be coadministered to cancer patients on the same day. Study: The Effectiveness of Vitamin C in Preventing and Relieving the Symptoms of virus-induced Respiratory Infections. "I tried your cold/flu therapy, and it works 100%...like magic! Dr. William Jacobs, Jr. has determined that vitamin C kills drug-resistant tuberculosis (TB) bacteria in laboratory culture. The paper was published online May 21, 2013 in Nature Communications. Dr. Jacobs is professor of microbiology & immunology and of genetics at Albert Einstein College of Medicine. Dr. Jacobs is also a Howard Hughes Medical Institute investigator. Read about the Surefire Cure for the Common Cold page. Russel Jaffe, MD, PhD has calculated the affinity the uniquely shaped ascorbate ion (vitamin C) has for various heavy metals, and how much vitamin C is required for detox. 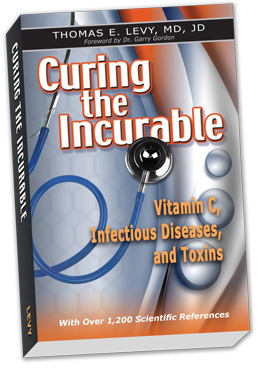 Curing the Incurable: Vitamin C, Infectious Diseases and Toxins. Read more at our Forum. In the 1930s, Dr. Claus W. Jungblut, an early pioneer of vitamin C therapy, discovered that only primates and guinea pigs were susceptible to scurvy as well as anaphylactic shock, pulmonary tuberculosis, diptheritic intoxication, a poliomyelitis-like viral infection and a viral form of leukemia. None of the vitamin C synthesizing laboratory animals had susceptibility to these diseases. Risk of gout was found to be lower in individuals with higher vitamin C intake. Compared to individuals with a total vitamin C intake of less than 250 mg per day, those with total intakes of 500 - 999 mg per day had a 17 percent reduced risk of gout. For intakes of 1,000 - 1,499 mg and 1,500 mg or more per day, the risk of getting gout was down by 34 and 45 percent, respectively. The authors of this study also looked at the relationship between amounts of vitamin C ingested in supplement form only and risk of gout. Here again, higher supplemental levels were associated with a reduced risk of gout. Compared to those who did not supplement with vitamin C, those supplementing with 1,000 - 1,499 mg and 1,500 mg or more of vitamin C per day were found to be at 34 and 45 percent reduced risk of gout, respectively. Humans cannot make their own vitamin C, but almost all other species on the planet can and do make large amounts of vitamin C 24/7. This makes vitamin C unlike the other essential vitamins which must be in the diet of both we and our animal friends. The loss of a single gene (termed GULO) prevents you from making your own vitamin C.
Read more: The One Thing to Know About Vitamin C.
Vitamin C is required for the production of collagen, and those who take more optimal amounts of the vitamin enjoy improvements in their appearance; e.g., "thicker" and wrinkle-free skin, increased fingernail growth, the elimination of certain age spots and dark circles under and around the eyes, as well as better healing. A little known benefit discovered by dentists in the 1950s is that 6,000 mg daily completely prevents dental carries (cavaties). Why do our recommendations run counter to medical and governmental authorities? Don't Tissues Saturate at 200 mg of Vitamin C? The erroneous idea that 200 mg of vitamin C is all our bodies can use daily arose out of important research by the Mark Levine group at the National Institutes of Health (NIH). The basic flaw in the NIH research was not accounting for the short half life of vitamin C (aka ascorbate) in the blood plasma. Using the NIH's own numbers, Hickey and Roberts developed their Dynamic Flow theory. Owen Fonorow's measurements, as published in the July 2017 Townsend Letter for Doctors and Patients, shows that 4,000 mg of ascorbic acid (but not sodium ascorbate) can be absorbed into the blood stream after oral intake without loss equivalent to an intravenous infusion. Don't expect to hear about any of this from Medical Doctors. Medical doctors, for whatever reasons, have not been trained in the massive vitamin C research. The massive science (a small portion of which is reported on these pages) is missing in medical educations. And a negative propaganda campaign exists to keep doctors comfortable in their ignorance. "In 1994, I attended a 300 level college course entitled Therapeutic Nutrition at then Illinois Benedictine College (IBC), now Illinois Benedictine University. I was hoping to advance my knowledge of vitamin C. To my utter surprise, vitamin C was not mentioned a single time in a semester long course on therapeutic nutrition. Curious, I obtained some of the materials from an earlier prerequisite course in basic nutrition, and found a "How To Spot A Quack" checklist in this material. Prominent on the checklist was the label that any doctor who prescribes or recommends more than the RDA amounts of a vitamin is a 'quack.'" Confused by the Recent Anti-Vitamin C Stories in the News?! The first thing to note about the spate of negative stories is that they usually aren't based upon some new study. Another clue is that they range across various potential medical uses of vitamin C. This article, HOW YOU CAN HELP COUNTER THE PROPAGANDA CAMPAIGN AIMED AT MEDICAL ALTERNATIVES was written by one of the co-founders of the Vitamin C Foundation in 1996! Not much has changed in 20 years.